Providers who wish to contract with CareSource® must first be credentialed. Through credentialing, we check the qualifications and performance of physicians and other health care practitioners. Providers are recredentialed a minimum of every three years and are considered to be recredentialed unless otherwise notified. 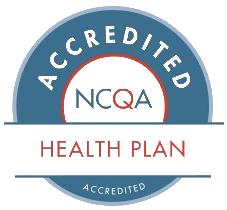 CareSource credentials providers using guidelines from the Indiana Health Coverage Programs and the National Committee for Quality Assurance (NCQA). Our Vice President/Senior Medical Director is responsible for the credentialing and recredentialing program. Indiana Health Coverage Programs requires that you submit a complete Council for Affordable Quality Healthcare (CAQH) application or CAQH number and National Provider Identifier (NPI) number to CareSource. Click the Contract Implementation link below, populate the form and attach your CAQH application or add your CAQH number and NPI number in the additional information text box. You may also choose to fax or send the same information via certified mail. For more information about CAQH, please log on to the CAQH website or call CAQH at 1-888-599-1771. Log on to CAQH using your account information. Make sure CareSource Marketplace Indiana is listed as an authorized health plan. If not, check the Authorized box to add. It is essential that all documents are complete and current, or CareSource will discontinue the contracting and credentialing process. If you have missing or expired documents, the Credentialing staff will send you a letter with instructionsto correct and submit the updated information. For questions about credentialing, call CareSource at 1-866-286-9949 and follow the prompts to be directed to one of our Credentialing staff. You can leave a detailed message, and one of our staff will return your call within threebusiness days. We can research the status of yourapplication in the credentialing process or what documents might still be needed.